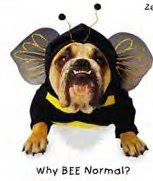 Beelieve You Can! : Surprise, Surprise, Surprise! The later catch phrase is how I have felt over the past 25 years living with chronic illness. Most illnesses come at a person when they least expect it bringing many unwanted and unexpected surprises. There are a few surprises that have pleasantly surprised my family and I. For years I had been a person who was always busy ‘doing’. I worked full-time outside the home, involved in various ministries, wife, mother, and homemaker. I took care of everyone but me, and it finally caught up with me over the years. I relinquished my will – and yielded to God’s will for my life. I chose to live each day to its fullest – to live simply, love deeply, and laugh often. If this means all I do today is sit and listen as my daughter shares her day with me, then that is God’s will for my life today. I am making a conscious effort not to let things get to me. If it doesn’t get done today, there is always tomorrow or the next day. What a difference this has made in my life as well as in the life of my family. Imagine their surprise as I became content with my life and in return became a happier person to be around. The other week as my family was together, we were describing each other using one word. When it came to me, my 14 year old grandson said, “Funny”, my son-in-law said, “Crazy”, my sweet daughter said, “Loving”, and my very supportive husband – just smiled and laughed! Chronic illness has brought many surprises to my life and my family’s; but the best surprise of all is that I have become a joyful, mellow, playful, thankful, giving, loving, wife, mother, grandmother and most of all faithful child of our merciful God! What surprises has chronic illness brought to your life or a family member’s life that you would like to share with us? One in two Americans currently suffer from a form of chronic disease. Learn what it is, and what you can do if you or a loved one is suffering from a chronic illness. Thank you for this! I can just hear Gomer's "Surprise! Surprise! Surprise!" in my mind. What a great way to frame this for me. Thank you for joining the Blog Carnival! 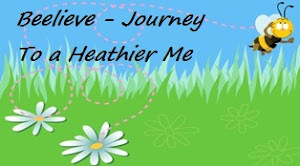 It's such a blessing to find new blogs to read for encouragement! Hi, I enjoyed visiting your blog for the Blog Carnival and especially loved the verses you shared :) Thank you. Thank you my dear, sweet friend for linking me to this posting. It's what I needed to read. Sometimes I get caught up in the flesh and today was one of those days. I'm still a work in progress, but one thing I am absolutely sure of: Oh how I love my Almighty Father, my Creator above all things. Even when I am weak, He is still with me to give me just what I need to make be stronger once again. Thank you again my precious sister. I love you and I'm praying for you as well.